This Foraging Drawers-Caitec/Paradise foraging device for birds features four 2" square cubes stacked one over the other; two have slide out doors and two have pull out drawers. 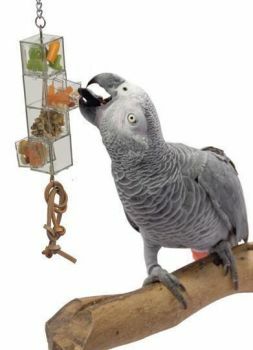 Parrot must stand on one foot and hold the device steady with the other and open the door or drawer with his beak to collect the food item. This toy requires extremely good balance and coordination. 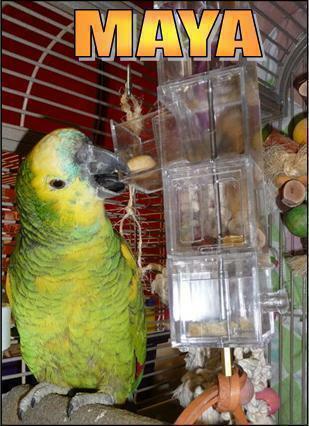 Notify me when Foraging Drawers-Caitec/Paradise is in stock.